In 1996 the Chevrolet Caprice disappeared from the North American lineup, where it was replaced a few years later by the front-wheel-drive W-body Impala. With the death of Pontiac, GM now had no large rear-drive full-sized car to sell for fleet use, so they started importing the WM generation Holden Caprice in 2011 as a Police Patrol Vehicle. 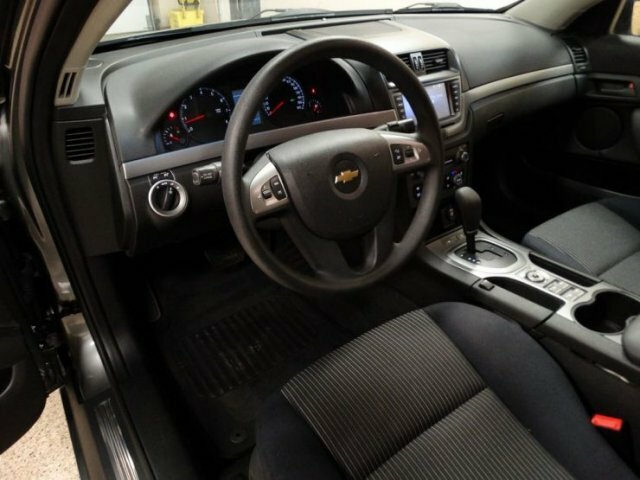 Find this 2011 Chevrolet Caprice 9C3 offered for $12,795 in Chicago, IL via Chicago Motors Inc. Tip from BarbPaddles. 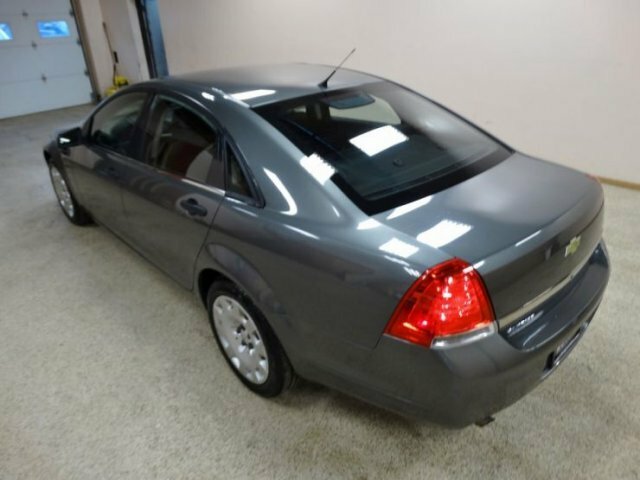 Signing up for the Police Academy or heading to a used car lot is the only way you are going to get your hands on a late model Caprice because GM, for whatever reason, never sold these to the public. It might look like yet another GM econobarge, but it has an engine mounted in the right direction running via an automatic gearbox. 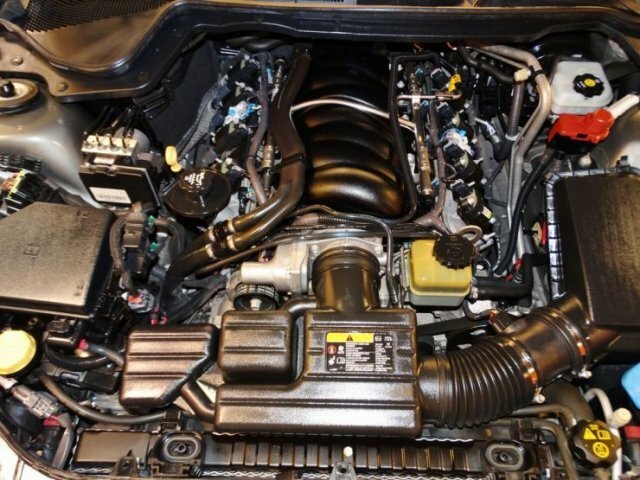 Under the hood is a 6.0 liter version of GM's Gen IV small block V8; the L77 is rated at 348 horsepower and 382 ft-lbs of torque -- a large step up from a 4.6 liter powered Crown Vic and enough power to chase down the bad guys. The interior is a plasticy mess, but it should survive the years well and it has plenty to room for your utility belt (lookin' at you Batman). This one looks like it has carpet in the back, but I'd rather the bed-liner style that you can hose out -- it would be perfect for little kids. So is it essentially a chevy SS, or is it a different holden? Probably closer to a Pontiac G8, but it's all based on the same car. 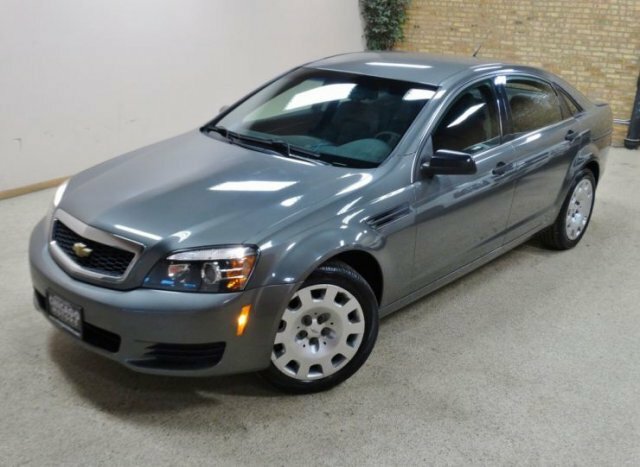 It's pretty much a Chevy SS in an even more plain wrapper, but man o' man would I love to have one. This is a rare beast for consumer use! Didn't some Texas dealerships get in trouble or maybe almost yelled at, for selling these to the general public as long as you told them it was for your job as a security monitor at the local strip mall? These are great, would totally love one like this for daily duty with the family along for the ride. I think it's a longer wheelbase than the SS [fake edit: yes, it is, 4 inches longer]. Chevy Caprice is equivalent to the WM Caprice. The SS is the VF Commodore. Pontiac G8 was the previous generation VE Commodore. All are based on the GM Zeta platform, along with the 5th-gen Camaro. I need to find myself an SS to drive. It might be worth parting with a BMW or two. I've driven a couple Commodores in the past down in the Antipodes, and after time roaming Vic state in rented Commodores and Falcons (including a week in a 5.4L BA Falcon GT) I have infinite respect for the Australians' ability to build the best traditional American cars the world's ever seen. We went Murray River to Phillip Island and back in that GT and between the wonderful seats and everything else it might well be the best thousand-mile-a-day driver the world's yet come up with, my M5 and other Germans I've driven not excluded. Or, perhaps, will see, given that both GM and Ford are going to be out of the business of building Real Cars down there soon. I will note that by all repute the speed enforcement in Vic state is obscene and draconian, but I've thus far managed to evade the graybar hotel despite several hundred miles of attempting to, shall we say, evaluate the unrestricted Autobahn behavior of Australian product. My favorite thing is no redline on the tach. I'm sure that motor loves revving to 8000. The ECM won't let you get there anyway. LWB version of the Commodore with flat seats (cops need to get out quickly with belts full of crap on), most of the good chassis, not the Brembos or anything e.g. GXP. Yeah and no option to row your own. From what I've read the SS is like the E39 M5 that BMW should still be making. It would be fun to do a back to back to back comparo between Caprice, SS, and E39 M5. The SWB Commodore - from past experience, not SS - is a very slightly larger car, and has 7-series back seat room. The trim quality isn't quite as good, and it feels a bit bigger from the driver's seat. But yeah, it's a place an E39 owner might not mind being. Funny you should mention the similarity between the SS and the E39 M5; I read in one of the car rags that the Holden Commodore was developed by a bunch of expat BMW E39 M5 engineers poached by Holden for that very purpose. The Commodore has been a derivative of the Opel Omega since sometime in the '80s, there's been a lot of engineers seconded out of Opel to Holden. In the later '90s the Commodore was based on the platform we'd gotten here as the Catera - interestingly the Holden got an all-new front suspension and rack-and-pinion steering, but it retained the previous generation Omega semi-trailing arm rear suspension with the toe-control link that'd been done for the Lotus Omega/Carlton. Aussies tow with everything, and there's untold miles of unpaved roads, and I guess GM Holden figured at the time the semi-trailing arm setup was better suited to towing and/or unpaved bush roads. plate of shrimp, mrkwong! - I was just looking at a 1990 Carlton 2.0 stick (alas not the Lotus) to-DAY - swear I've never even heard of the dang thing before - 200 kliks, 1200 clams, in what looks like reasonable driver maintenance condition - worth having as a standby / occasional use? after several minutes of searching, DT has the best I've seen. Most are cop cars with the spot light and/or black and white paint job. Since the whole point of this car is badass sleeper (which I'm sure you could swap a tr6060 into) having it look like a former cop car misses the point. Sure you could fill the holes and paint it but that costs money.